An annual award &ldquo;to the player who leads the league in scoring points at the end of the regular season.&rdquo; History: Arthur Howey Ross, former manager-coach of the Boston Bruins, presented the trophy to the National Hockey League in 1948. If two players finish the schedule with the same number of points, the trophy is awarded in the following manner: 1. Player with most goals. 2. Player with fewer games played. 3. Player scoring first goal of the season. Right winger Patrick Kane of the Chicago Blackhawks won his first career Art Ross Trophy. Kane finished the season with a career-high 46 goals, 60 assists and 106 points, besting Dallas Stars forward Jamie Benn (41 goals, 48 assists, 89 points) and Pittsburgh Penguins forward Sidney Crosby (36 goals, 49 assists, 85 points) and becoming the first American-born player to win the NHL scoring title. Kane registered at least one point in 64 of the 82 contests he played in (78.0 percent), highlighted by a 26-game point streak from October 17 to December 13 (16 goals, 24 assists, 40 points) which set a franchise record, was the longest by a U.S.-born player in NHL history and the longest by any player since 1992-93 (Mats Sundin, 30 games). Kane also recorded his first two career hat tricks (January 15 at Toronto and April 3 versus Boston) and scored in a career-high seven straight games from November 2 to 15, which tied him for the longest such run by any player in 2015-16. Kane became the first U.S.-born player to reach the 100-point milestone since Doug Weight in 1995-96 and the first Blackhawks player to hit the number since Jeremy Roenick in 1993-94. He joins Hockey Hall of Famers Stan Mikita, Bobby Hull, Roy Conacher, Max Bentley and Doug Bentley as Chicago players to win the NHL scoring title. 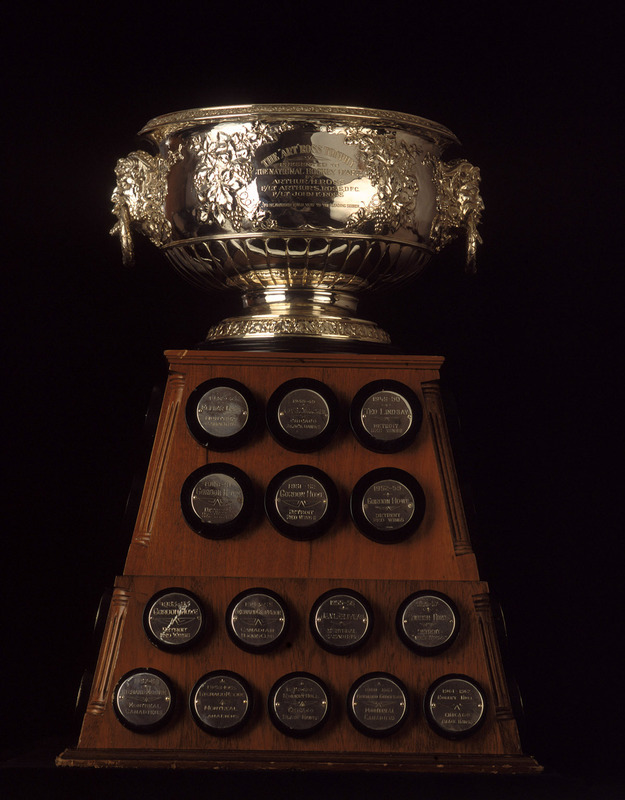 The Art Ross Trophy was presented to the National Hockey League in 1947 by Arthur Howie &quot;Art&quot; Ross, former general manager and head coach of the Boston Bruins and Hockey Hall of Fame inductee as a player. Elmer Lach was the winner of the first Art Ross Trophy, which was awarded at the conclusion of the 1947&ETH;48 NHL season.